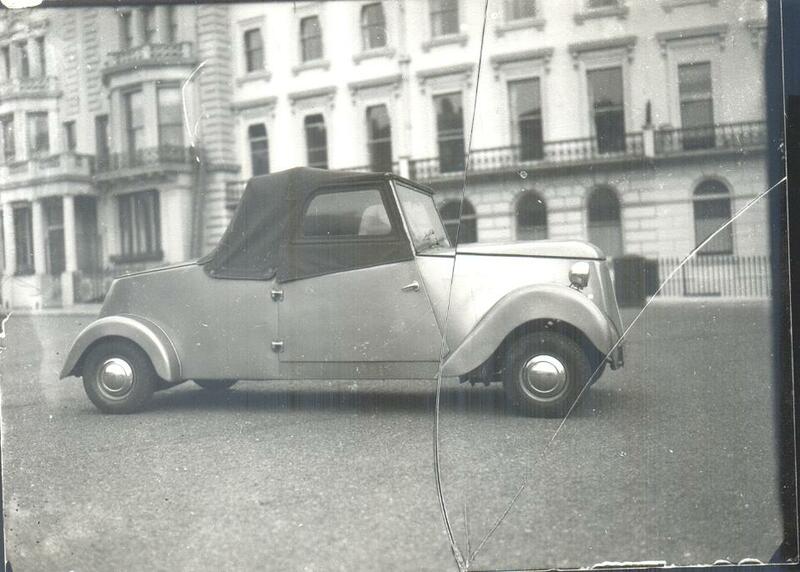 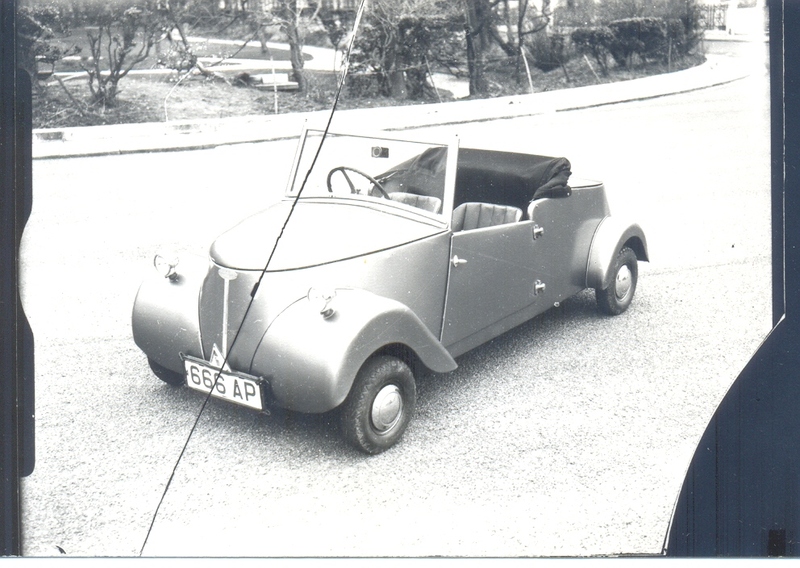 These are pictures of various other Hazelcars from times gone by. 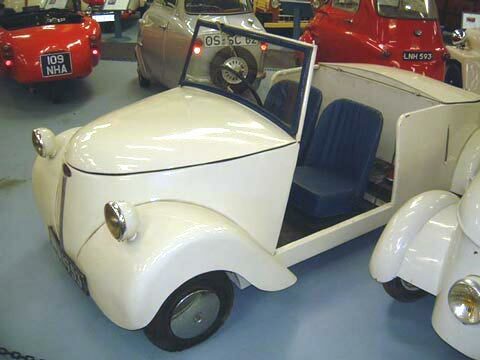 The first four Hazelcars below, were the only petrol cars made. 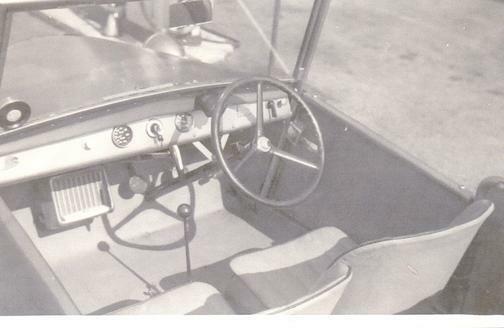 They are shown in date order from the earliest. 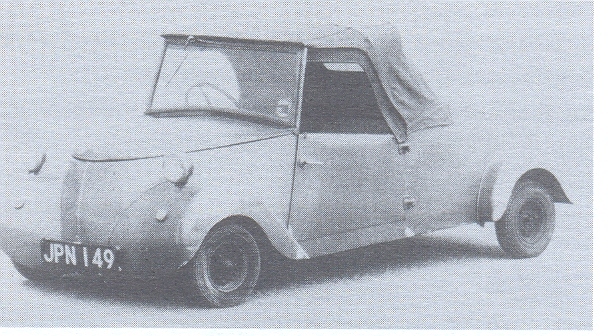 1950 prototype Hazelcar probably fitted with the Indian motorcycle engine. 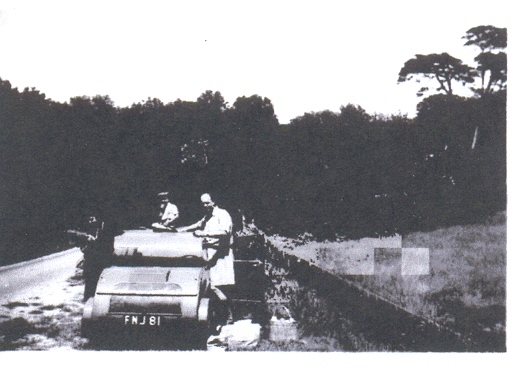 Eric and Roy with KUF 959 first registered November 1950 (The car in the Daily Express Reliability Rally in 1950). 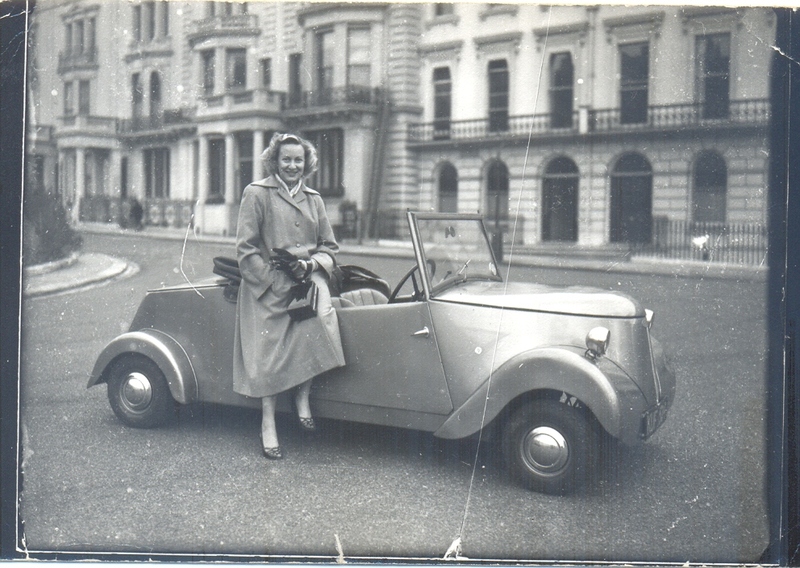 Ruth Hazeldine with a 4 seater model LCD 597 registered 1951 at Concours Delegance Grand Hotel, Eastbourne. 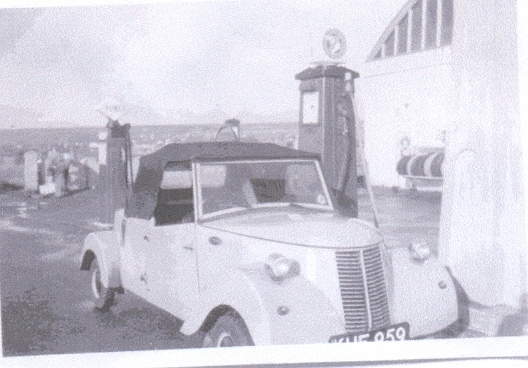 LCD 778 registered June 1951. 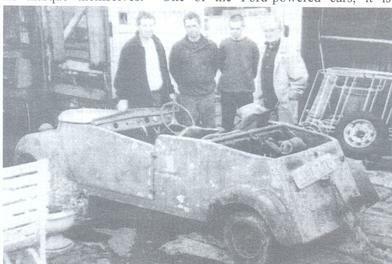 L to R: Arthur, John and Sam Hazell with John Sherwin, LCD 778 before restoration. 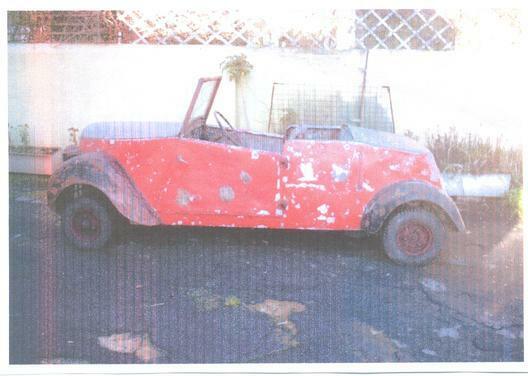 Hazelcar LCD 778 before restoration. 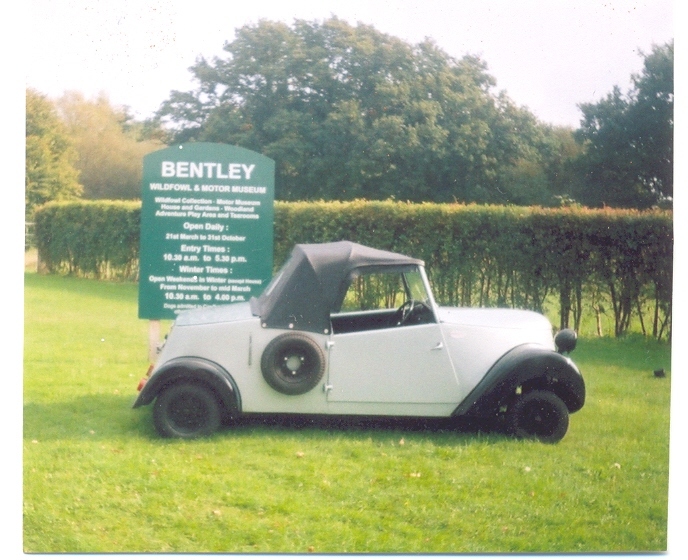 LCD 778 Hazelcar at Bentley Museum. 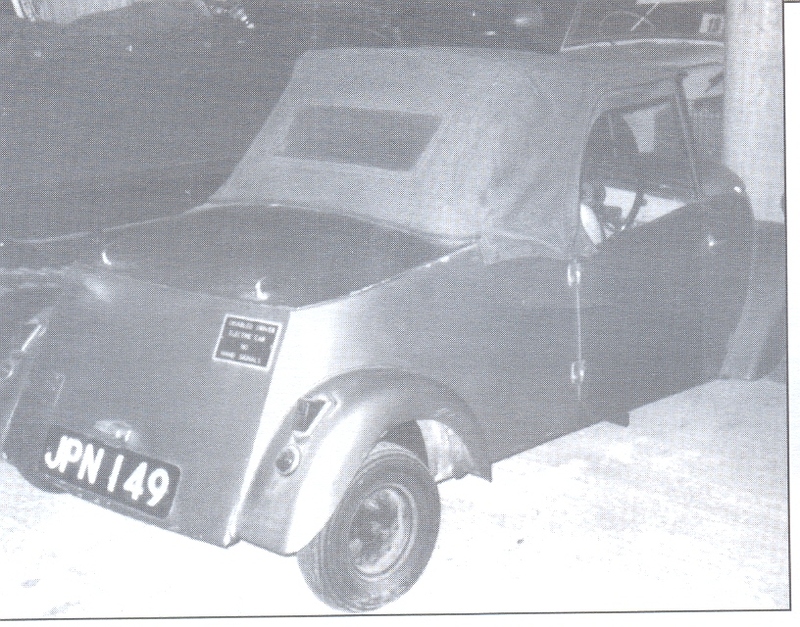 KUF 959 (the Hazeldines car). 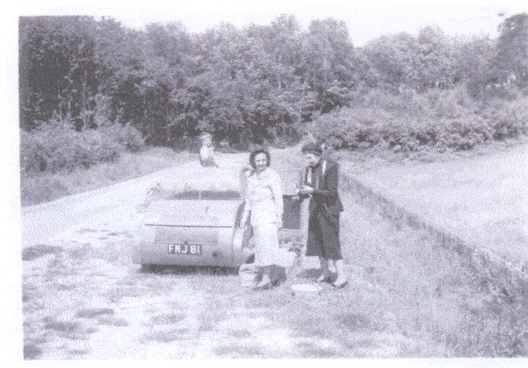 Eric and Ruth in their Hazelcar in Canada. 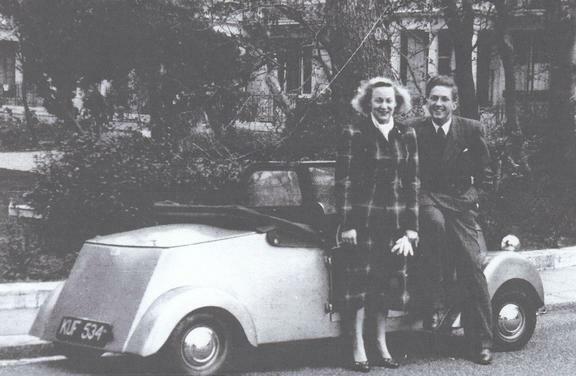 Eric and Ruth with their Hazelcar in Canada. 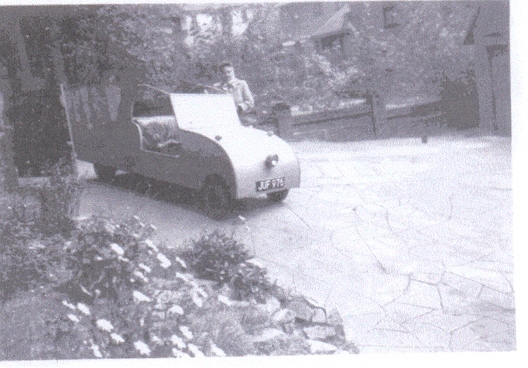 Hill climb in Exeter in 1951. 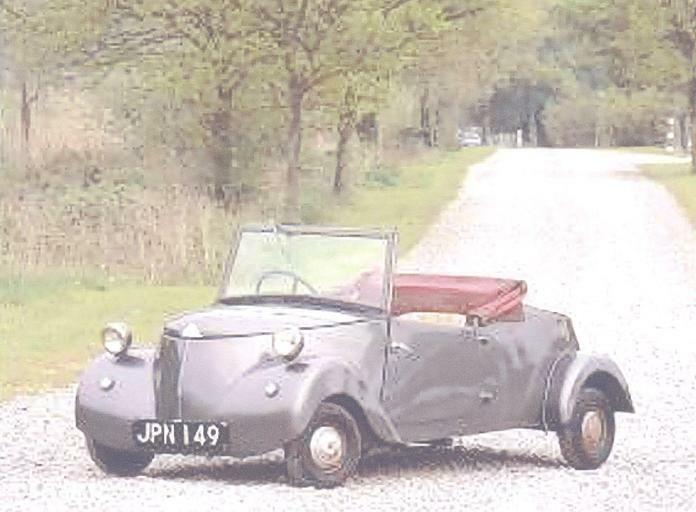 The Hazeldine's car in Canada. 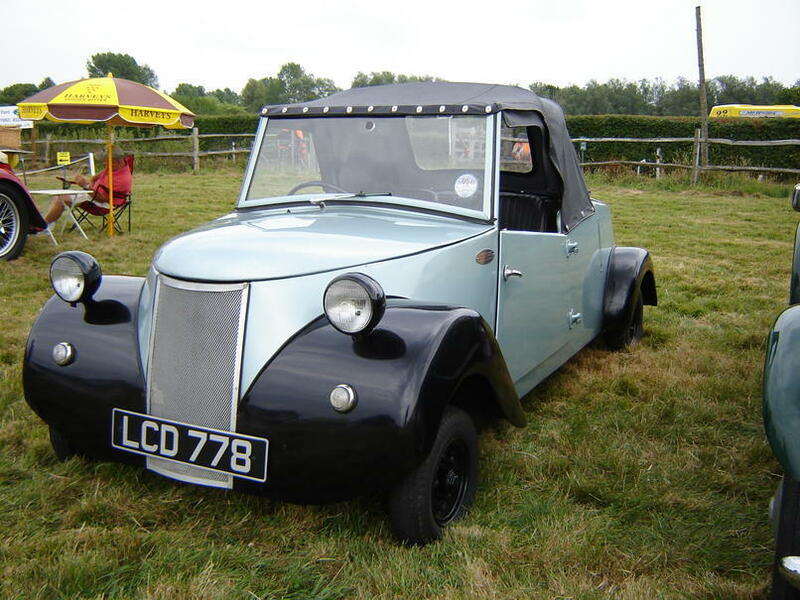 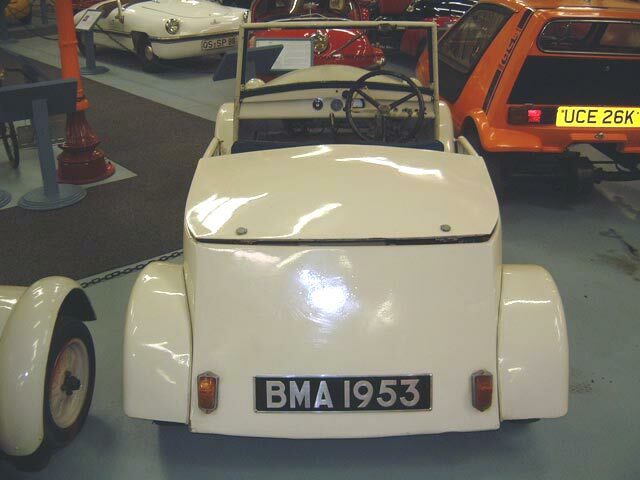 Electric BMA Hazelcars are easily identified by their grille-less fronts. 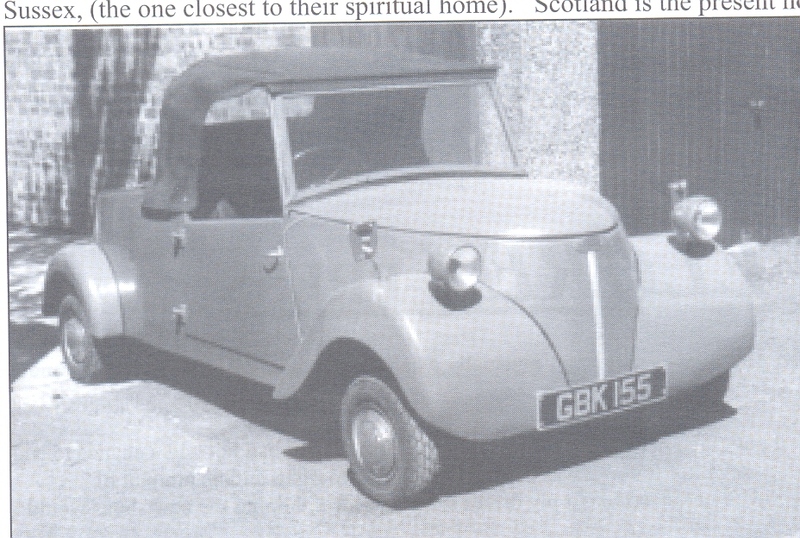 The Scottish car a 1951 BMA Hazelcar GBK 155 after restoration. 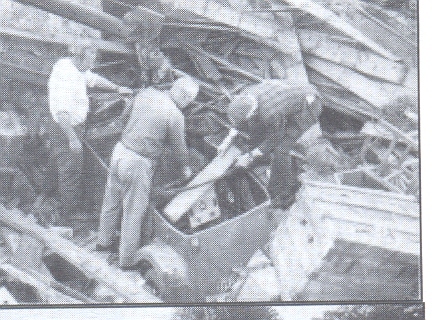 The Scottish car being rescued from a barn. 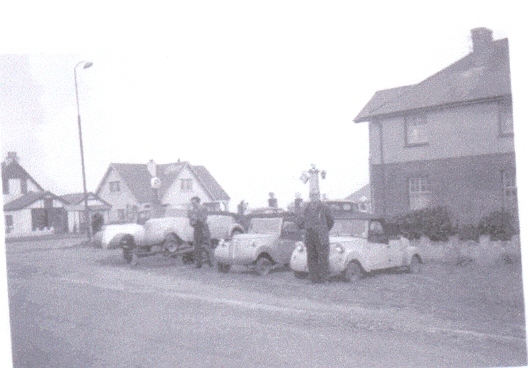 Hazelcars at an early 1950's rally. 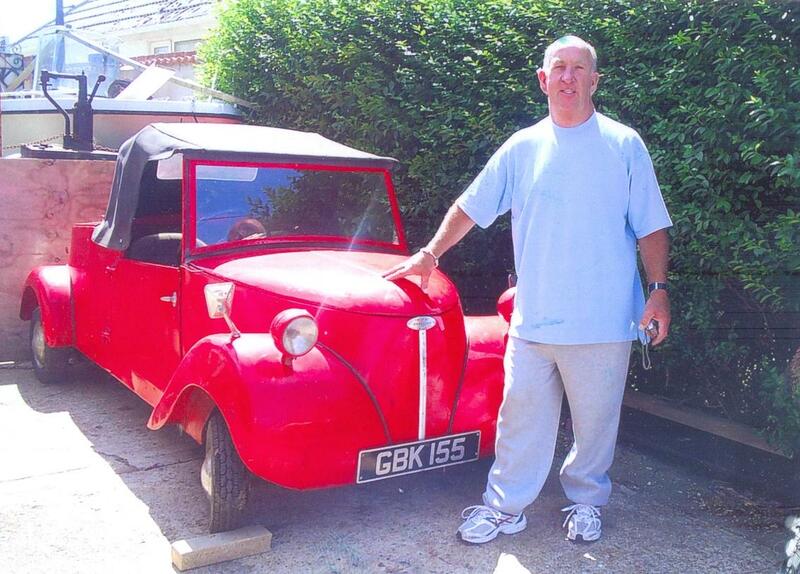 New owner, Mick Coleman. 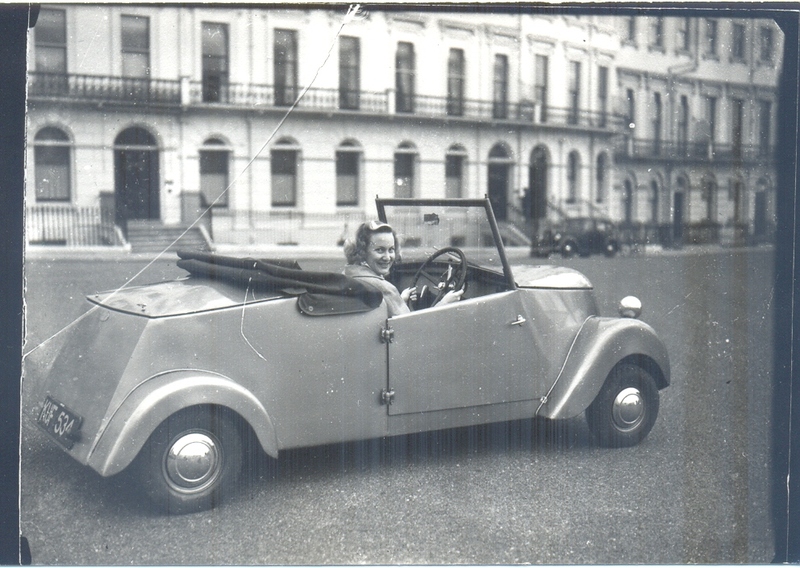 Hazelcar back home again in Peacehaven, Sussex. 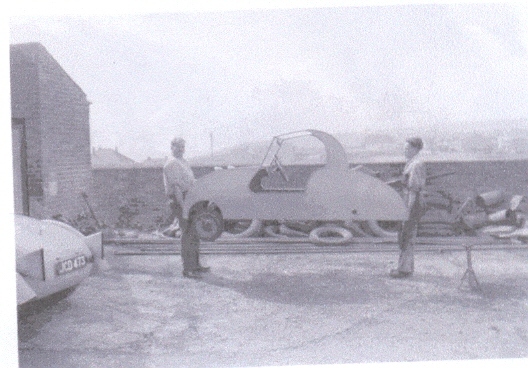 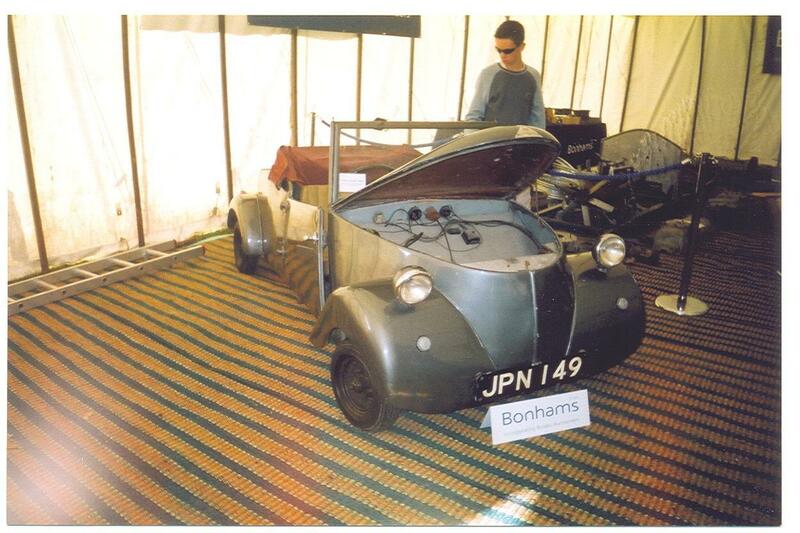 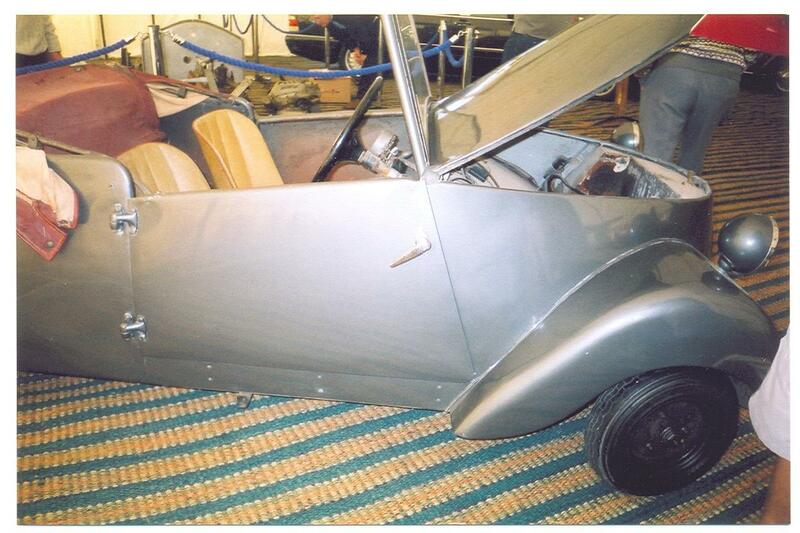 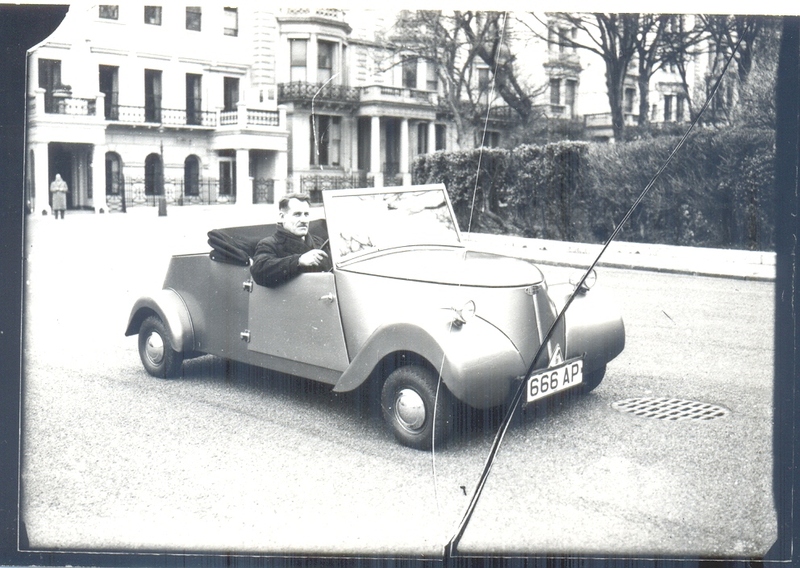 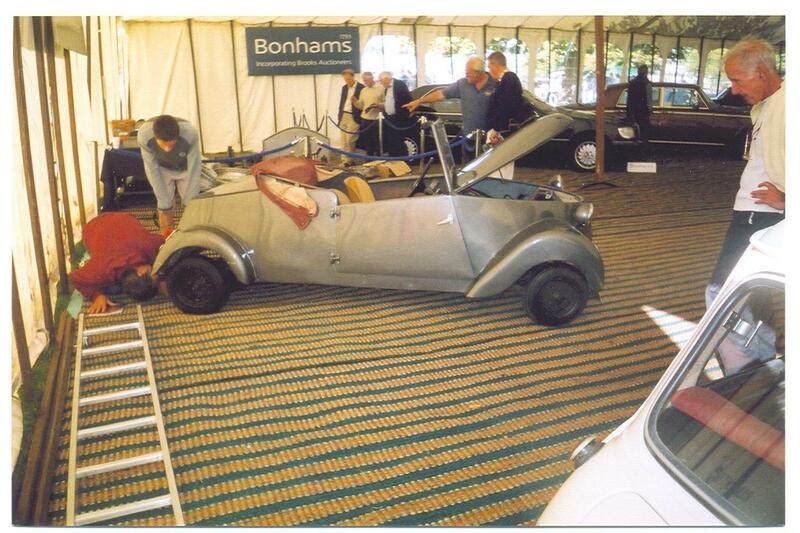 A very early prototype, with John Sherwin and Eric Hazeldine pictured on the left. 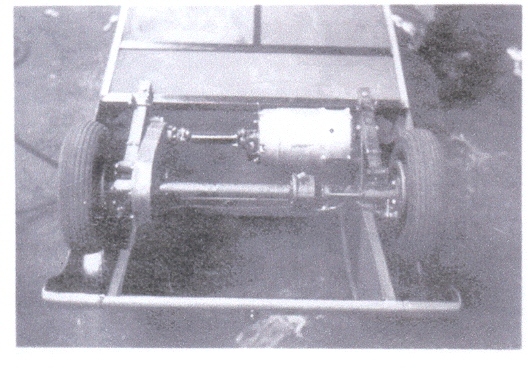 Electric motor of early prototype. 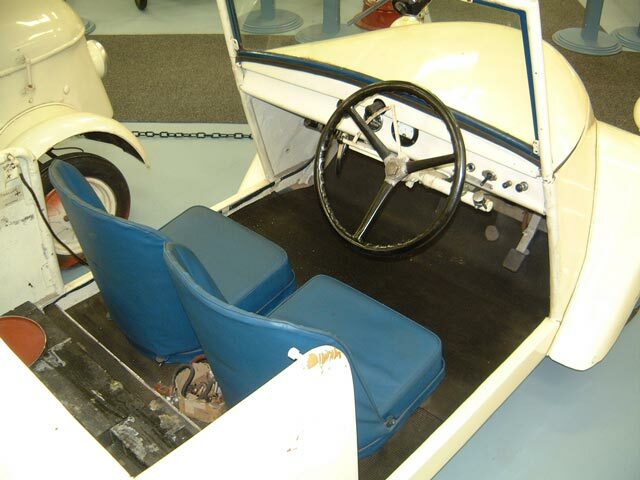 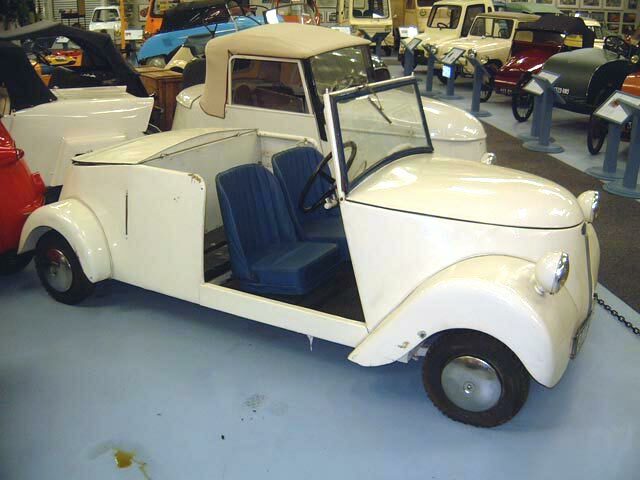 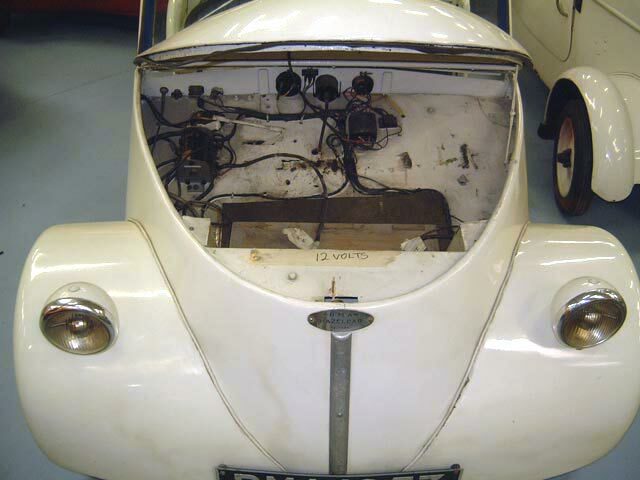 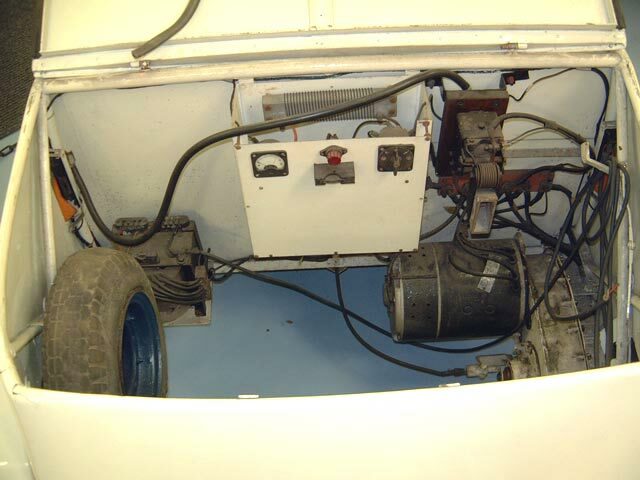 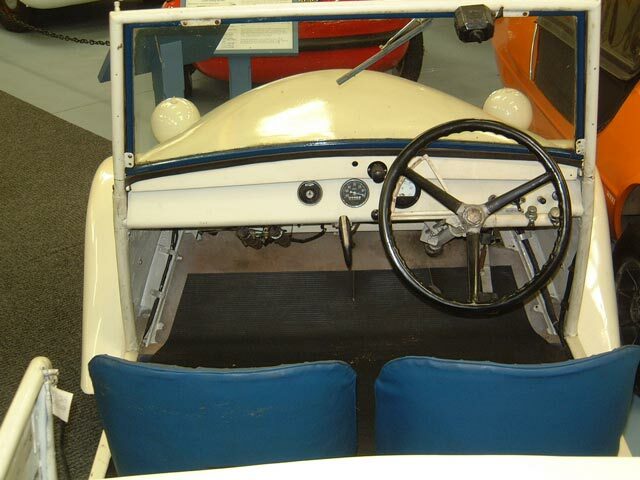 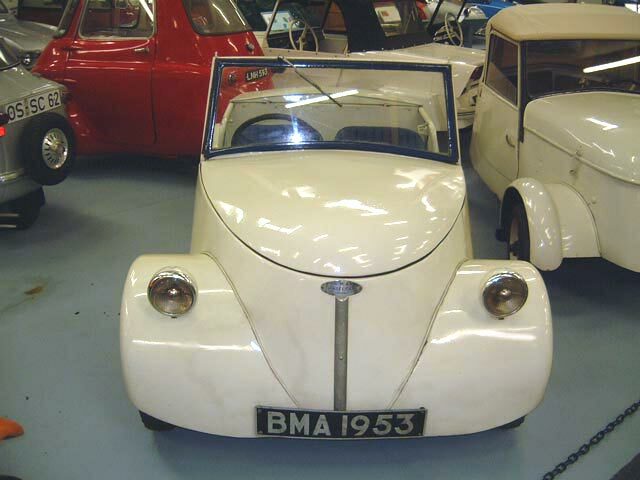 This 1953 electric car is located at the Bruce Weiner Museum, a link to their website is on our homepage. 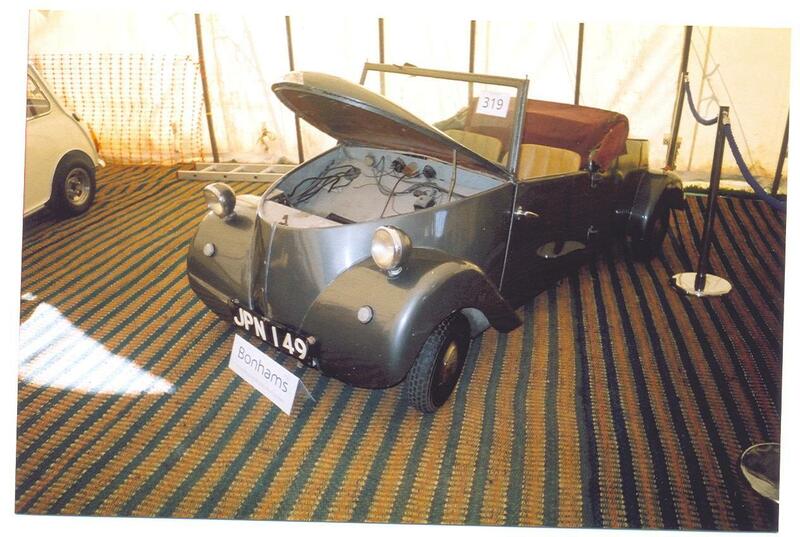 JPN 149, this is a 1955 electric car. 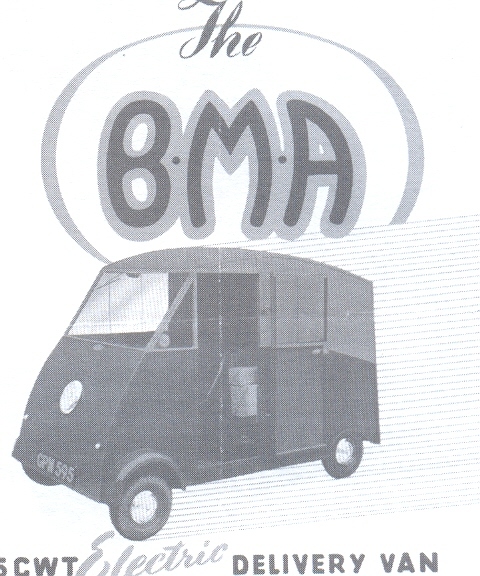 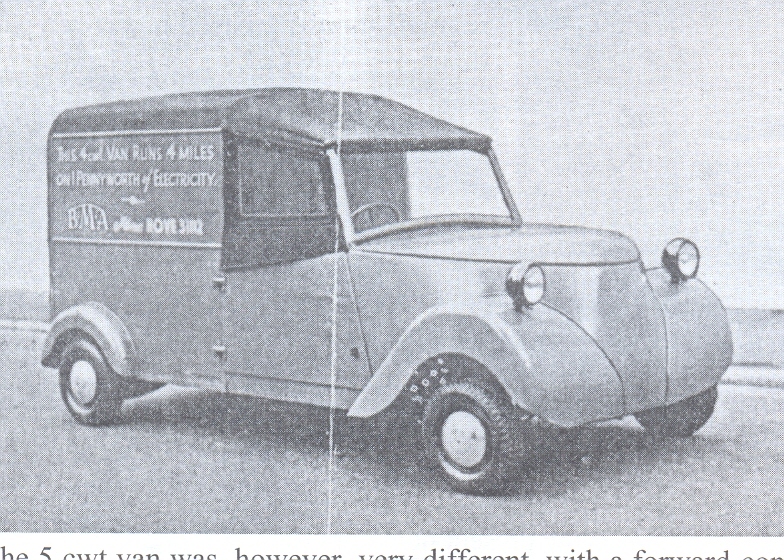 These pictures are of the BMA electric Hazelvan and BMA electric van.